It is better to give than receive when you are giving sought-after promotional gifts. Every day we provide custom promotional gift ideas that build loyalty and expand your brand recognition in ways that only a valued gift can. Impress your clients, reward your employees and attract new business with custom clothing, electronics, luxury lifestyle products and more. Pacific Life, the financial services company that serves half of the 100 largest U.S. companies, counts on us for promotional gifts and merchandise for all 3,000 employees and client meetings. 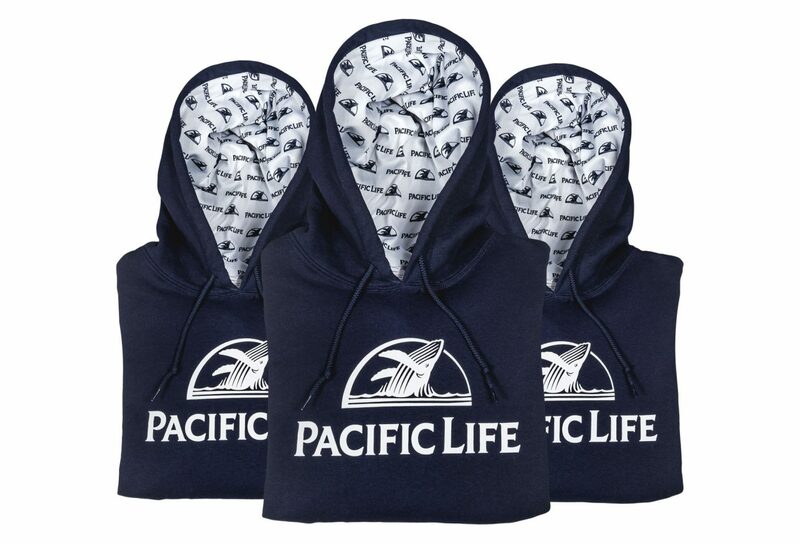 Pacific Life’s employee appreciation program is top-notch, with promotional gifts like this Made in USA sweatshirt with a custom hood lining that bears the company logo. Every employee received one! Looking for inspired promotional gift ideas? Look no further. Don’t let the sea of promotional products overwhelm you. Contact us for fresh ideas. 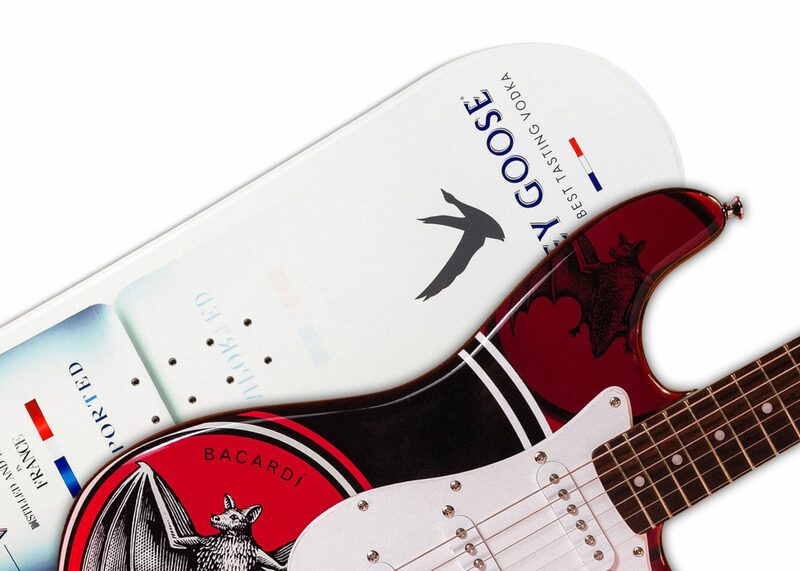 If you want to turn heads in the corporate marketplace, consider our sleek custom snowboards. Combining art and performance, they’re a perfect 10 on the slopes or in your suite. Your clients will clamor for an encore when you step onto the corporate stage with a custom guitar like the one we created for Bacardi Rum. Not ready to go fully custom? Leave it to us. Build your brand with our wide selection of ready-to-order custom promotional products.